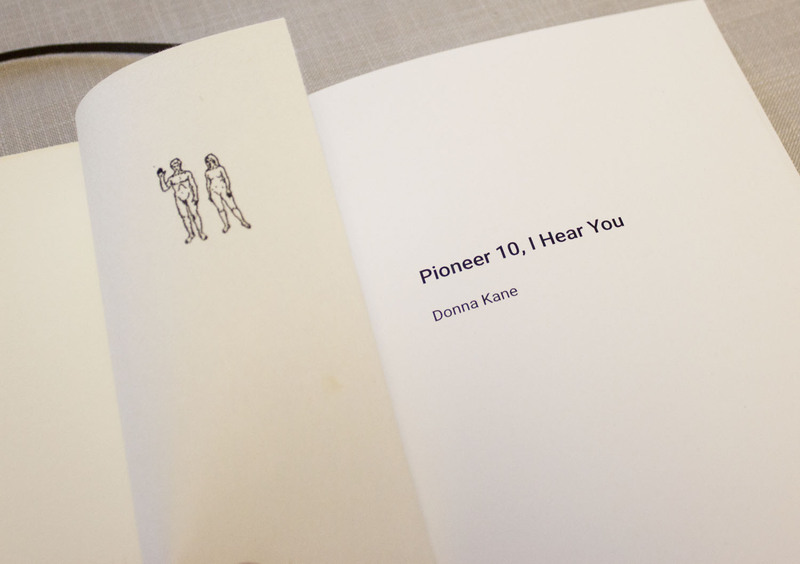 Pioneer 10, I Hear You by Donna Kane, kit fast, and mary mottishaw is inspired by the 1972 Pioneer 10 probe, humankind’s analog scream into the blackness of space – that will probably still be travelling long after the Earth has been burned up by the sun. 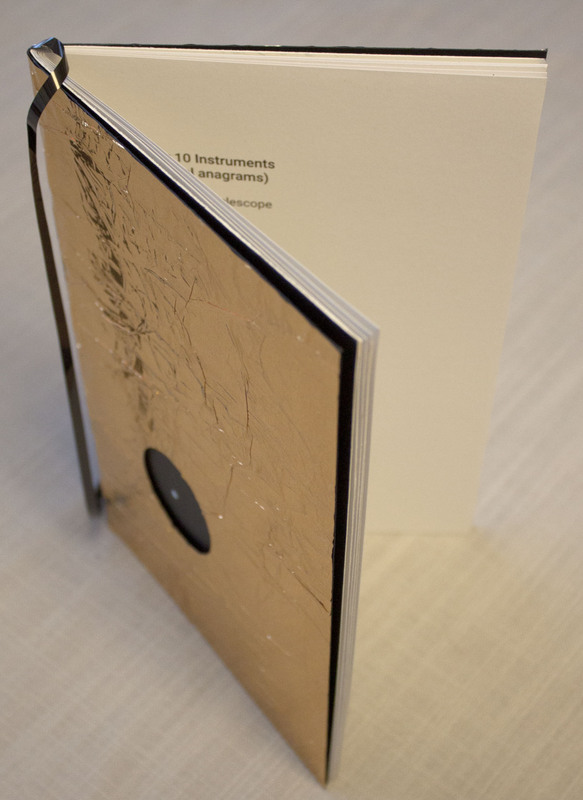 Design materials include mulberry paper, stamped with the line images from the probe’s plaque, and covering Space Brand Emergency Blanket. 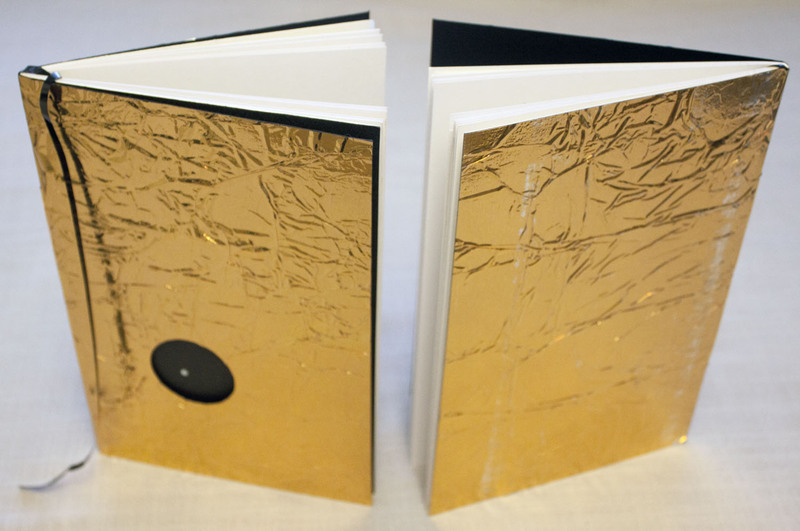 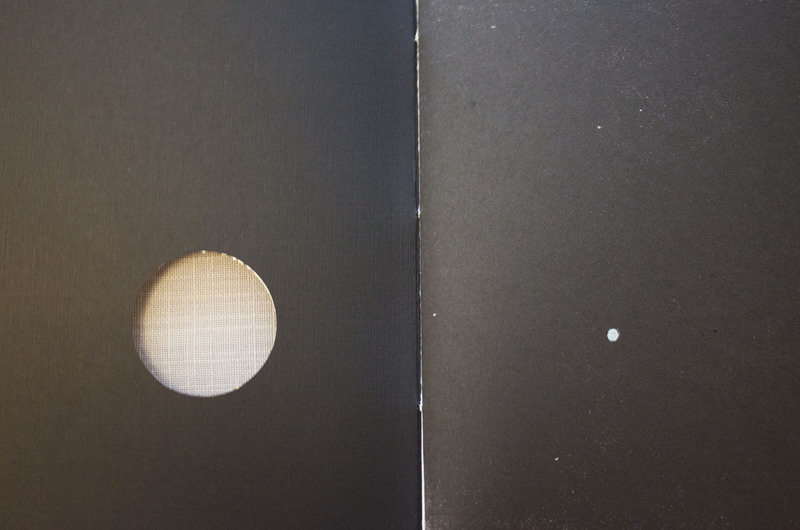 This unique chapbook opens to a relief print of a very tiny blue Earth, and, looking back through the cover, a window into the not-so-empty blackness of space. 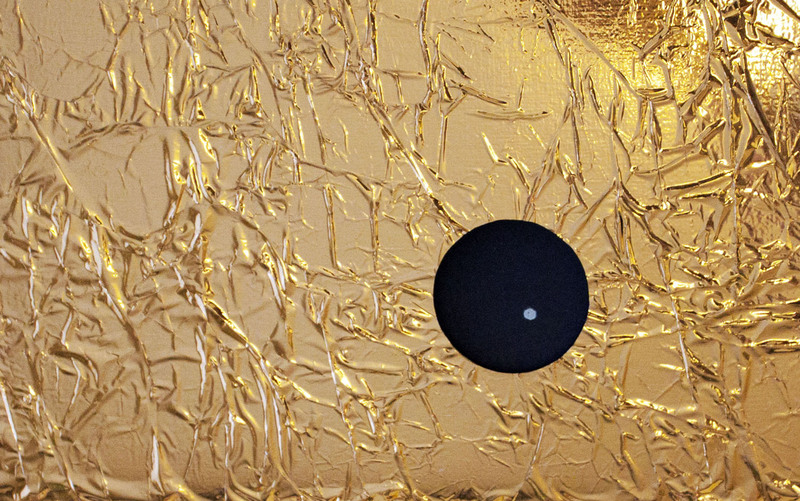 Bookmarked with a strip of salvaged BASF Professional II Chrome Tape of David Bowie’s Space Oddity. 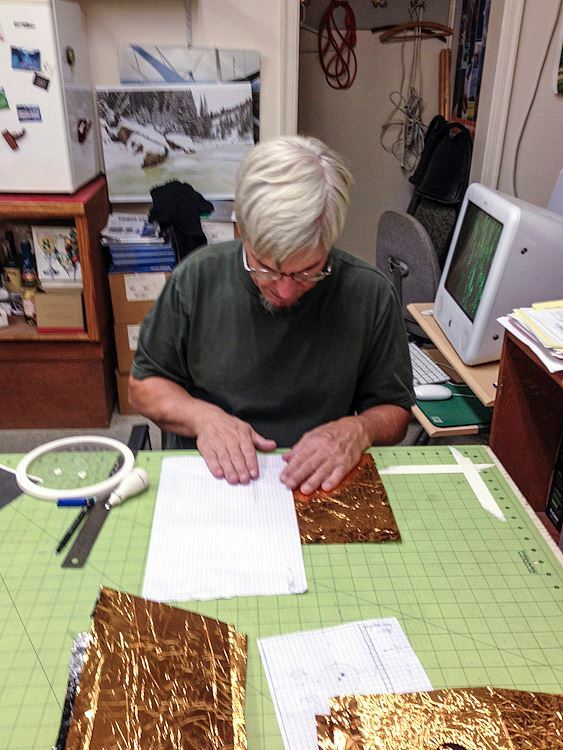 Measures approx 5.5″ X 8.5.” (Pictured: kit fast assembling copies).